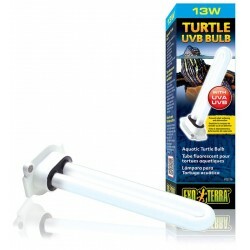 Wholesale Reptile UVB Fluorescent Bulbs - The Serpentarium, Inc. Zoo Meds NatureSun is a Full Color Spectrum daylight fluorescent lamp with a CRI of 98 that will bring out the true colors of your reptiles, amphibians, hermit crabs and birds while promoting terrarium plant growth. Size: 24"
Zoo Meds NatureSun is a Full Color Spectrum daylight fluorescent lamp with a CRI of 98 that will bring out the true colors of your reptiles, amphibians, hermit crabs and birds while promoting terrarium plant growth. 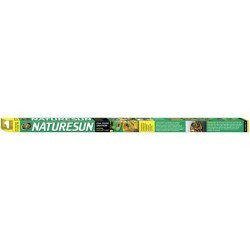 Size: 36"
Zoo Meds NatureSun is a Full Color Spectrum daylight fluorescent lamp with a CRI of 98 that will bring out the true colors of your reptiles, amphibians, hermit crabs and birds while promoting terrarium plant growth. Size: 48"
The Exo Terra Repti Glo 10.0 has a very high UVB output similar to that associated with desert environments. Desert locations receive more direct sunlight than any other because of fewer clouds, less air humidity and no plants or trees to provide shade. 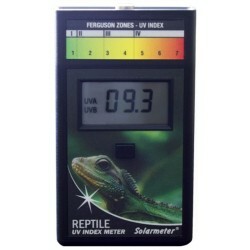 Therefore desert reptiles are more exposed to UV radiation than any other type of reptile. Size: 15"
The Exo Terra Repti Glo 10.0 has a very high UVB output similar to that associated with desert environments. Desert locations receive more direct sunlight than any other because of fewer clouds, less air humidity and no plants or trees to provide shade. Therefore desert reptiles are more exposed to UV radiation than any other type of reptile. 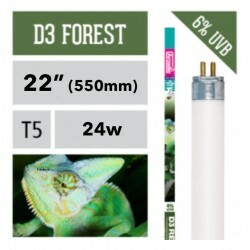 Size: 30"
The Exo Terra Repti Glo 5.0 has a moderate to high UVB output, similar to that of shady environments such as rain forests and other tropical locations. Reptiles living in these habitats receive less UV radiation because of the many climatological conditions that prevent direct sunlight from reaching them or their basking sites. Size: 15"
The Exo Terra Repti Glo 5.0 has a moderate to high UVB output, similar to that of shady environments such as rain forests and other tropical locations. Reptiles living in these habitats receive less UV radiation because of the many climatological conditions that prevent direct sunlight from reaching them or their basking sites. Size: 18"
The Exo Terra Repti Glo 5.0 has a moderate to high UVB output, similar to that of shady environments such as rain forests and other tropical locations. Reptiles living in these habitats receive less UV radiation because of the many climatological conditions that prevent direct sunlight from reaching them or their basking sites. 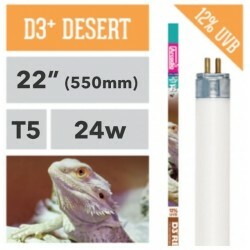 Size: 24"
The Exo Terra Repti Glo 5.0 has a moderate to high UVB output, similar to that of shady environments such as rain forests and other tropical locations. Reptiles living in these habitats receive less UV radiation because of the many climatological conditions that prevent direct sunlight from reaching them or their basking sites. 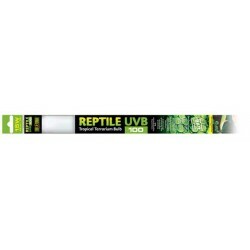 Size: 30"
The Exo Terra Repti Glo 5.0 has a moderate to high UVB output, similar to that of shady environments such as rain forests and other tropical locations. Reptiles living in these habitats receive less UV radiation because of the many climatological conditions that prevent direct sunlight from reaching them or their basking sites. Size: 36"
The ReptiSun® 10.0 is effective for UVB induced photo conversion of vitamin D3 in reptile's skin at distances up to 20″. A full 10% UVB output allows vitamin D3 synthesis to occur naturally, preventing or reversing MBD and other health problems in Turtles, Bearded Dragons, Iguanas, and other diurnal reptiles. 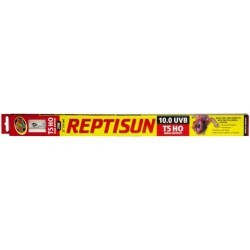 Size: 18"
The ReptiSun® 10.0 is effective for UVB induced photo conversion of vitamin D3 in reptile's skin at distances up to 20″. A full 10% UVB output allows vitamin D3 synthesis to occur naturally, preventing or reversing MBD and other health problems in Turtles, Bearded Dragons, Iguanas, and other diurnal reptiles. Size: 24"
The ReptiSun® 10.0 is effective for UVB induced photo conversion of vitamin D3 in reptile's skin at distances up to 20″. A full 10% UVB output allows vitamin D3 synthesis to occur naturally, preventing or reversing MBD and other health problems in Turtles, Bearded Dragons, Iguanas, and other diurnal reptiles. Size: 36"
The ReptiSun® 10.0 is effective for UVB induced photo conversion of vitamin D3 in reptile's skin at distances up to 20″. A full 10% UVB output allows vitamin D3 synthesis to occur naturally, preventing or reversing MBD and other health problems in Turtles, Bearded Dragons, Iguanas, and other diurnal reptiles. 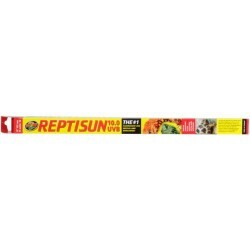 Size: 48"
The ReptiSun® 5.0 is effective for UVB induced photo conversion of vitamin D3 in reptile's skin at distances up to 12″. A full 5% UVB output allows vitamin D3 synthesis to occur naturally, preventing or reversing MBD and other health problems in Turtles, Bearded Dragons, Iguanas, and other diurnal reptiles. 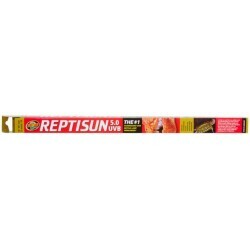 Size: 18"
The ReptiSun® 5.0 is effective for UVB induced photo conversion of vitamin D3 in reptile's skin at distances up to 12″. A full 5% UVB output allows vitamin D3 synthesis to occur naturally, preventing or reversing MBD and other health problems in Turtles, Bearded Dragons, Iguanas, and other diurnal reptiles. 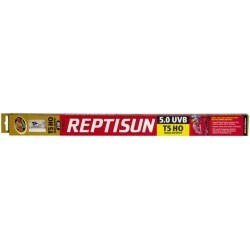 Size: 24"
The ReptiSun® 5.0 is effective for UVB induced photo conversion of vitamin D3 in reptile's skin at distances up to 12″. A full 5% UVB output allows vitamin D3 synthesis to occur naturally, preventing or reversing MBD and other health problems in Turtles, Bearded Dragons, Iguanas, and other diurnal reptiles. Size: 36"
The ReptiSun® 5.0 is effective for UVB induced photo conversion of vitamin D3 in reptile's skin at distances up to 12″. 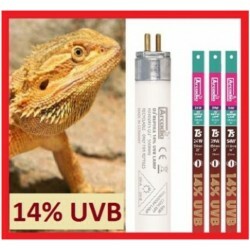 A full 5% UVB output allows vitamin D3 synthesis to occur naturally, preventing or reversing MBD and other health problems in Turtles, Bearded Dragons, Iguanas, and other diurnal reptiles. Size: 48"